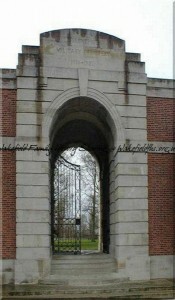 Lijssenthoek Military Cemetery – Who is resting in peace? Lijssenthoek Military Cemetery nr Poperinge has a very special place in my heart, not only does my great uncle rest there but Nellie Spindler from my home town also calls Lijssenthoek ‘home’. A while doing a bit of research a few years ago, I came across another man whose final resting place is also Lijssenthoek – Philip Brydges Henriques. In 1901 Philip was six years old and living with his parents Philip Guttery Henriques, a Barrister at Law and Beatrice Rachel nee Faudel-Phillips, who married in 1892. Home for the family at this time was 33 Grosvenor Place, Knightsbridge. The young Philip at the time was cared for by Amalie Eberhard, his Governess. Ten years later in 1911 Philip Guttery Henriques and Beatrice were living at Normandy Park, Surrey, which they had purchased in 1903. In the house on the night of the census there were no children (Philip was an only child), but Philip and Beatrice had a few visitors and plenty of staff. The visitors included : John Fowle, 48 a Colonel in H M Army (War Dept.,) and his wife Helene Fowle, 35 who was born in Belgium; Natananiel Davidson, 26 a silk merchant; Stephen Slocum, 51 U S American Naval Attache and his wife Luna, 38 and Lay Louise Prescott, 56 who was a Paris resident. The servants included a Butler, cook, footmen, ladies maids, housemaids and kitchen maid – one of the ladies maids was Rosalie Schustes, she was one of the visitors maids and born in Russia – possibly Lady Prescott’s maid. Philip during the 1911 census was attending Eton College, just a short walk from Windsor Castle, which he left in 1912 then attended New College, Oxford. War was declared while he was in France when on a break from Oxford. Following his return to the UK he was Commissioned in August 1914 into the King’s Royal Rifle Corps (KRRC. The following May he was on the Western Front, serving in his regiment as a Second Lieutenant. On 23rd July 1915, at Ypres, he was wounded and died of his injuries while in hospital the following day. He rests in Lijssenthoek Military Cemetery near Poperinghe, Belgium along with over 10,000 other casualties including one English nurse from Wakefield, Yorkshire, QAIMNS Nellie Spindler. 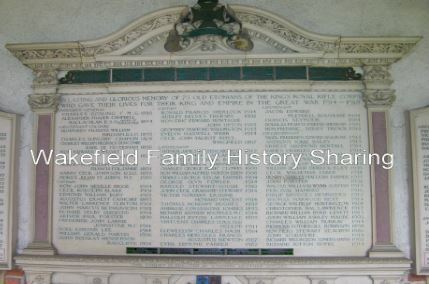 Although he rests in France, he is remembered by his family with a stained glass window in St Mark’s Church, Normanby and also on the Normanby War Memorial and All Saints Church Memorial, Eastbourne. He is also remembered with honour on the KRRC Memorial, Eton College. The public schools of England suffered 20% losses, as opposed to 13% of others who served. These men who were more than likely junior officers, lieutenants and captains, who lead by example and were first out of the trenches and last to return, and were often the target of snipers – without an officer in charge the leadership would be passed down the ranks. Eton College, was not alone when it came to losing high numbers of its ‘Old Boy’s’. They infact lost 1,157 men, some as young as 17 and still only boys. Harrow School lost over 600 of its ‘boys’. During the war Philip’s father served in the Government and received a Knighthood when peace had been declared. The couple, Philip Guttery Henriques and Beatrice continued to live at Normanby Park and in 1939 just before the outbreak of the second world war their information was once again recorded. Sir Philip was now a JP, Deputy Lieutenant of Surrey and Chairman of Surrey County Council. Beatrice the lady of the house had her personal occupation classed as ‘unpaid domestic duties’ – I bet that made the paid staff cuckle! Other people within the walls of Normandy Park were :- Juliana V Lucas, a widow living on her own means; Dudley Aukland, a Clerk to Surrey C C; William My Hollingshead, manservant; Walton Sandford, cook; Lilly S Watkins, ladies maid; Marian A Watkins, housemaid; record closed; Alice M Sandler (? ), ladies maid; record closed; John T Moore and Thomas Banks, both house boys. It appeared that the family chauffeur, Sidney Fisker and his wife Kate, lived at Normanby Park Lodge, as did the gardener William Church and his wife Florence. Sir Philip died in 1950 and Beatrice, his wife followed in 1952. The estate then passed to their nephew Claude Arthur Lucas, which he sold the following year. This entry was posted in General on June 26, 2016 by carol. 10 Scottish Family History Websites of use when researching Scottish family history. A few of the sites are portals which take you to other useful and interesting collections of information, while others are Record Offices and Archives. I hope you find what you are looking for. Sites are listed in no specific order. Scotlands Family – The site in their words is a ‘one-stop’ shop for all do-it-yourself Scottish family historians, with their aim being to point you to free on-line data. Well worth a look! ScotlandsPeople – The on-line face of the National Records of Scotland and the Court of the Lord Lyon. Look here for births, marriage and deaths; Old Parish Registers; Catholic Registers; Census; Service Records; Wills and much more. This site is a pay-per-view site – credits being purchased in 30 credit vouchers to allow both searching and viewing. Sadly, even a search costs. On the plus side your purchases and searched are remembered, so going back to view your purchases is not a problem. I do wish they would do an annual fee! Genuki Scotland – A site that has been around for years but still worth a look as its pages are always updated with new information and websites links. National Library of Scotland (Family History) – What would you expect from a library….books, books and more books. With the libraries collection covering various topics including: local history; newspapers; voters rolls, gravestones, emigration, clubs. There is also an India collection – did your family have a commercial or military connection to India, if so this may be the place to look. FamilySearch (Scottish Genealogy – No matter where you are researching in the world FamilySearch has a section for you. The Scottish page is packed with information and links to useful and informative websites to aid your research. If you are looking for a map or a specific surname look no further. GlobalGenealogy – Again, a collection of useful websites, but this time there are one or two that seem to not only aid research but help with deciphering that newly found data. Old Maps – Search for a town or village and view the map but to view in detail there is a subscription cost. Depending on your needs you may find the fee worthwhile but the amount of maps available is worth a look. The Federation of Family History Societies or Scottish Association of Family History Societies – Joining a family history society could be the next step in your research. Their members may be able to assist your further research, or connect you with researchers who have the same or similar interests. The local knowledge of these local societies is outstanding. The Happy Haggis – Another collection of links divided and indexed by subject, well worth a look. This entry was posted in News on June 23, 2016 by carol. Paisley Sailor Drowned. Paisley Saturday. Mrs Knox, 6 Maxwelltown Street, Paisley has received official intimation of the death of her brother, Ordinary Seaman William Steward, H M S Defence, who went down with his ship in the North Sea fight on 31st May. Canadian Woodcutters at Kirkconnel – Today the Canadian woodmen who arrived at Kirkconnel on Thursday have all things in order to start to clear the large plantations in Kirkconnel parish and on the estate of the Duke of Buccleuch. The men are in the charge of several officers, and number twenty-five. Irvine Family Hard Hit. Irvine, Sunday – The family of Mr and Mrs Thomas Potts has been hard hit with the war. They had three sons serving. One named Tom, of the Gordons, has been missing since Loos in September of last year; Robert wa badly wounded in the fighting, but ha now returned again to France; and William has been killed. The latter was attached to the Canadians and fell on 2d June. He was struck with a stray bullet. This entry was posted in General on June 18, 2016 by carol. A Liverpool Mans Request – A clause in the will of Mr. W. S. Marvel, a provision broker, of Liverpool, requests that on his decease his remains “shall not in any way be interfered with, neither washed nor re-clothed, but shall be conveyed in an inexpensive case or casket to the nearest crematorium, and there burned, the ashes being thrown away,” and that “there shall be no funeral ceremony or religious service, and no outward showing of mourning, either of the wearing of mourning by his relatives or the pulling down of blinds, or anything of that character.” The deceased left £11,627. Pte. 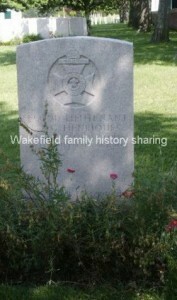 J. W. Blanshard, Duke of Wellington’s Regiment, killed in action on July 7. His home is at 29 Lodge Avenue, New Wortley, Leeds. He leaves a widow and four children. A Goods Guard’s Sudden Temptation – At Wakefield today, Henry Hemingway, a goods guard, in the employ of the Lancashire and Yorkshire Railway Company, was fined £5, or one month’s imprisonment, for stealing a bottle of brandy from the goods yard at Kirkgate Station. He said he committed the theft under sudden temptation. Mrs. Mary Wheatley, of New Market House, Adwalton left £3000 in her will. How our wounded were dealt with on the Somme – One of the most gratifying features of the operations on the Somme has been the splendid work of the medical units. On the fourth day of the battle the Commander-in-Chief issued the following order of the day, addressed from Advanced General Headquarters to the deputy directors of medical services, and by them sent on to all medical units with instructions that it should be read on parade :- “The Commander-in-Chief directs me to convey to you, and through you to the directors and all concerned under them, his high appreciation of their hard work and the efficiency of arrangements for dealing with the medical aspects of the present situations”. It seems certain (says the British Medical Journal), that the proportion of light to serious cases has been unusually large, while even among the more severe the prognosis is regarded as more hopeful than usual. The reason would seem to be that the enemy depended for the most part on machine rifle fire in their endeavours to repel the attack, and rifle bullet wounds, if they do not cause immediate death, tend on the whole to heal more quickly than those caused by high explosive and other shells. The rate of evacuation from the front to the bases was so considerable that by the end of the fourth day – that is to say, within a few hours of the end of the initial battle – most of the casualty clearing stations and field ambulances seem to have had very few patients left on their hands. The great majority had already been put on many of them the ambulance trains or otherwise safely removed to a distance from the scene of action, and they were in hospitals at home. The staffs of most of the units named had previously been strengthened by sending to them men who for the time being could be spared from their ordinary duties elsewhere. For the most part they were all medical officers who had had previous experience of the same kind of work either as battalion medical officers, field ambulance officers, or members of the staffs of casualty clearing stations. Some previous experience is very desirable, for the work that has to be done at front line formations during the progress of heavy duty actions is quite special in its character. The number of casualty clearing stations distributed within easy reach of the part of the line at which the operations were most active, was, we believe, considerably above the usual proportions. As a rule, they were arranged in pairs with the idea of allowing one of the two to have time to deal with the cases already taken in, while the other was open for the admission of fresh cases. They emptied and filled alternately. This was one strong feature in the arrangements; another was the care taken to provide for the prompt classification of cases. From the fighting line backwards the cases were winnowed and re-winnowed, men being sent to one place or another according as the apparent gravity of their wounds or their general condition seemed to demand. In addition, for instance, to the casualty clearing station, there were also places to which those who were only slightly wounded could be sent and receive immediate treatment, as well as medical rest houses, some for officers, some for men, to which could be sent those who were not wounded but only temporarily exhausted from their exertions. This entry was posted in News on June 5, 2016 by carol.